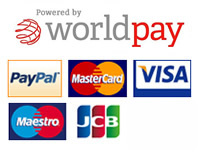 All payments are made through Paypal, we do not hold any credit card details of customers. On accessing this website on this and on each subsequent occasion you will be deemed to have accepted all of these terms and conditions that apply to its use. Deals2Build reserves the right to alter these terms and conditions at any time and it is your obligation to check if changes have been made. Your use of this website after changes are posted on-line shall constitute acceptance of the new terms and conditions. If you do not agree to obey these terms and conditions you must stop using this website immediately. All intellectual property rights (including but not limited to copyright, database rights, trade marks and design rights in all cases whether registered or not and all applications for the same), in the content of this website and in all materials on the website (including without limitation, designs, text, pictures, graphics, logos, images and the selection and arrangement of them) and in all software compilations, coding, underlying source code and software in the website belong to D2B or its licensors unless otherwise acknowledged. All rights are reserved. All D2B trade marks, names, and logos are the proprietary marks of D2B or its associated companies. Marks identifying third parties are owned or licensed by those third parties or their associated companies. Nothing in these terms and conditions in any way confers on you any licence or right under any trade marks, names or logos of D2B or of any third party. You will keep your password secure and confidential and follow all security instructions we issue from time to time. If you believe that your password and/or other security information has been disclosed or is otherwise at risk, you should notify D2B immediately. that is threatening, defamatory, obscene, indecent, offensive, pornographic, abusive, liable to incite racial hatred, discriminatory, menacing, scandalous, blasphemous, inflamatory, in breach of confidence and/or privacy, causes annoyance or inconvenience and/or which may be detrimental to D2B's reputation. D2B will fully co-operate with any law enforcement authorities and/or court order requesting it to disclose the identity of and/or locate anyone posting any material in breach of the above terms. completeness of the results of any search of the D2B database or that the items selected by the search are the only items on the D2B database which might meet your requirements. D2B does not warrant that this website will be available without interruption or that it is free of any error, virus, bug or other malicious or impairing computer programs. D2B will need to carry out routine maintenance to this website and its servers from time to time. Whilst D2B will use its endeavours to minimise any disruption to the website, it cannot guarantee that the website will be continuously available. The website is provided on an "AS IS" and "AS AVAILABLE" basis. D2B shall not be liable for any damages, including without limitation, indirect or consequential damages, howsoever arising out of your use of this website or in respect of any of your actions or omissions taken in reliance on any of the advice or information contained on this website or any website to which this website is linked. This website contains hypertext links to websites operated by parties other than D2B or its associated companies. D2B does not control such websites and is not responsible for their content. D2B's inclusion of hypertext links to such websites does not imply any endorsement of the material contained on these websites or of the owners. Nothing in these terms and conditions limits D2B's liability for death or personal injury resulting from its negligence or for fraud or any other liability which it is otherwise not permitted by law to exclude or restrict. Nationwide deliveries are sent for next day delivery via couriers. We cannot be held responsive for late deliveries due to courier issues.